Your roof is not just about the tin or tiles that cover the largest surface area, but the guttering and downpipes that surround it too. These channels are essential for your roof to maintain it’s integrity and a longer lifespan as they carry water away from the edges and surfaces of your roof and, hopefully, drain it away effectively. When guttering or downpipes are damaged, water can leak into your roof cavity or pool and lie stagnant, hosting bacteria and insects and causing rust and further damage. 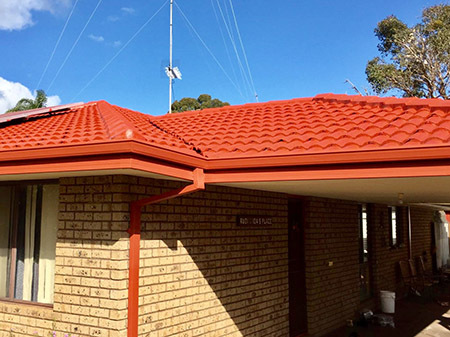 Roofwest Roof Restorations are your local experts in all areas of roof repair and restorations, also specialising in guttering and downpipe repair and replacement. 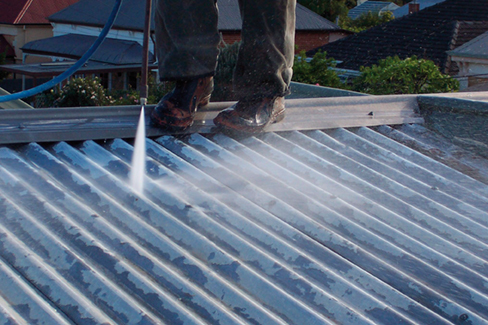 ROOFWEST Roof Restorations service homes throughout the South West and the Great Southern Region and you may be surprised how quickly your new guttering can be replaced. 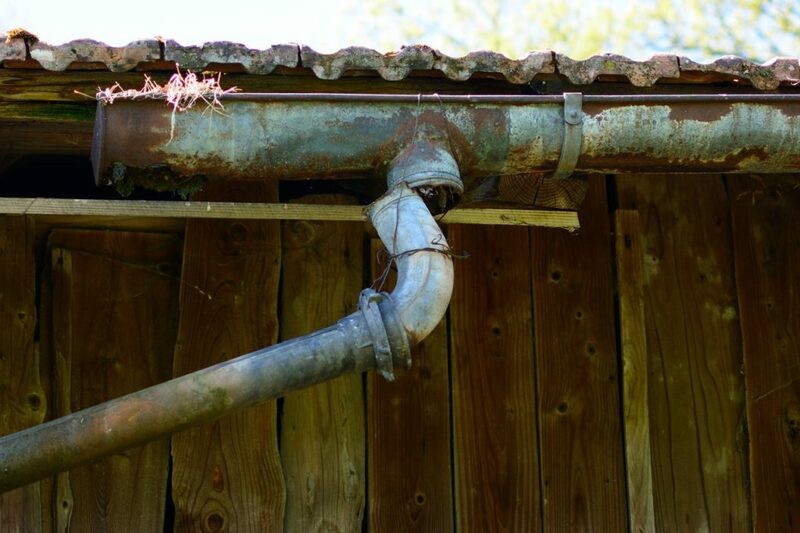 Rust is a major issue with tin gutters and downpipes, which causes corrosion and the material to wear away. 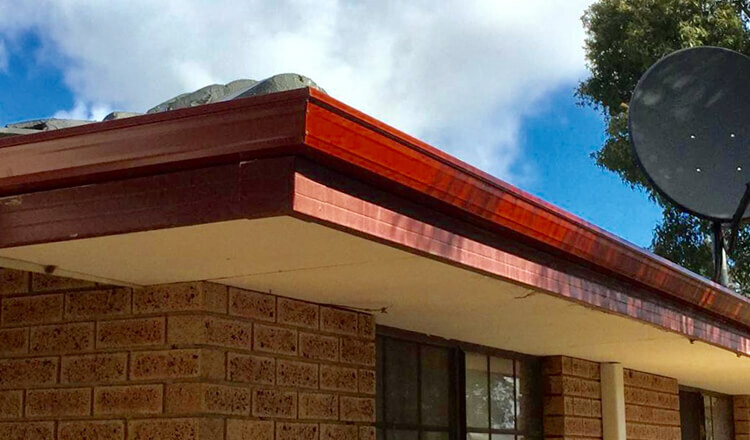 If your gutters and/or downpipes are cracked or broken, Roofwest Roof Restorations can colour match to your existing façade and replace them quickly and affordably. Have the channels running along the edge of you roof come away? Maybe heavy rains or too much debris in the gutters has caused them to sag and warp? 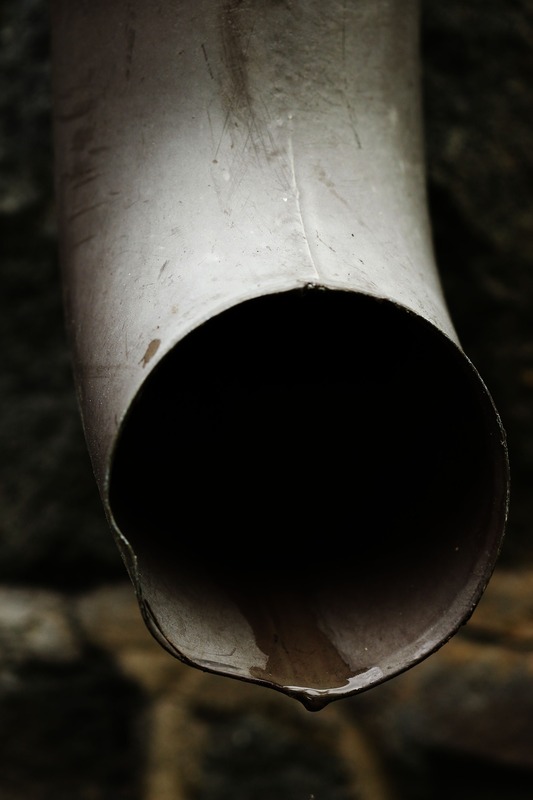 Have your downpipe brackets failed and now you have pipes loose, letting water drain everywhere? 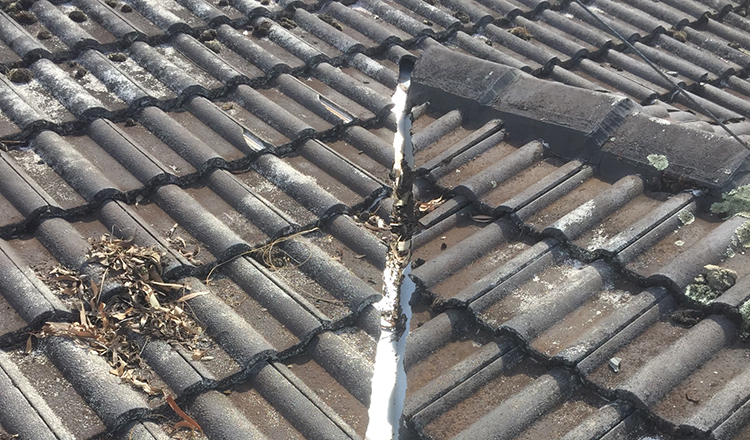 Roofwest Roof Restorations can fix these issues to stop the excess water from damaging the foundations of your home and causing any excessive harm to the actual roof structure itself. Maybe your guttering and downpipes have just seen better days. Have you renovated or decorated and your guttering and downpipes need to be freshened up as well? Or maybe Roofwest Roof Restorations have carried out a roof repair or restoration and you need your drainage to look less dated? This can be sorted easily and with a large range of Colourbond powder coat colours to choose from, you can give your home a complete facelift! Who Can Help Me Fix My Guttering and Downpipes? 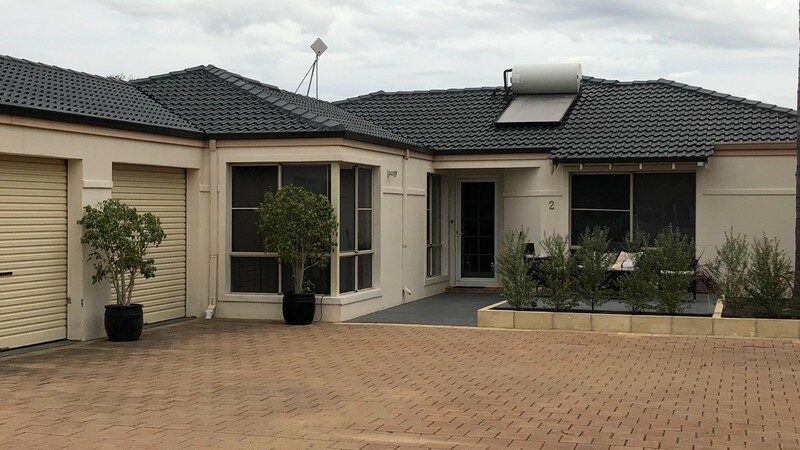 Roofwest Roof Restorations are fully insured and extremely qualified to take on the job of repairing, replacing or restoring your gutters and downpipes, as well as your entire roof surface. With 35 years’ experience throughout the South West, Tom and his team can be relied upon to get the job done on time and on budget, every time. 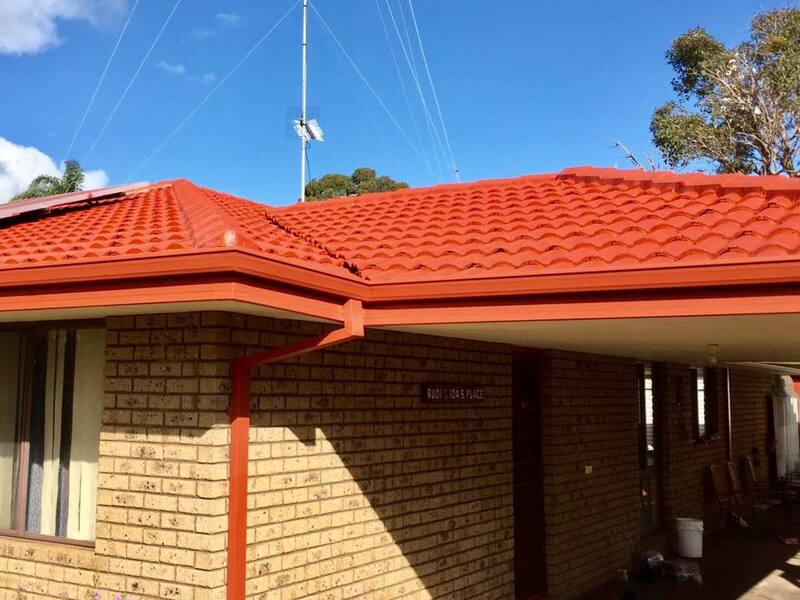 Call the Roofwest Roof Restorations today on 9795 9990 for a free onsite quote. Generally guttering systems have a 20 year life span when made from galvanized steel and aluminium gutters. Copper guttering will give 30 years or longer and may be a worthwhile investment. When you have good guttering installed you will be protecting the value of your home or premise. Give your gutters a check on a fine day, look for areas of rusting, sagging or splitting throughout the guttering. Joins and fasteners should also be intact with no parts missing. 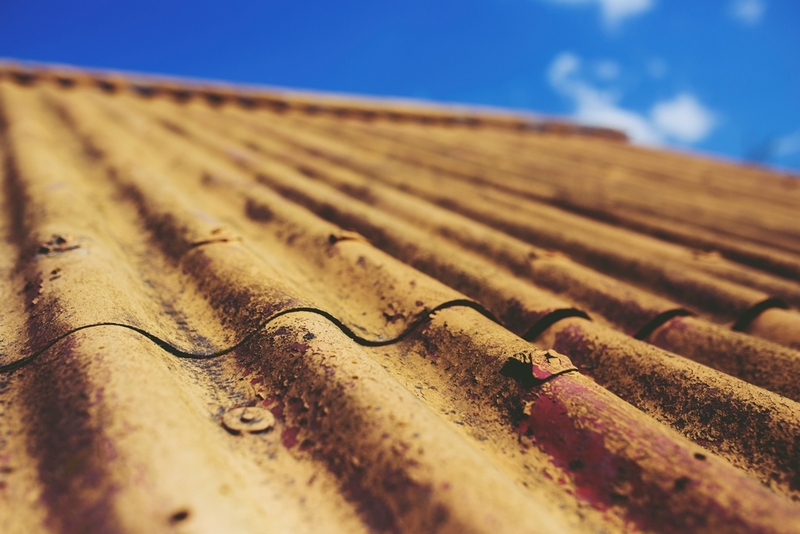 Peeling paint on the outside, “gardens” growing in your gutters or the underneath showing signs of wash away areas due to water flow from the guttering are all signs that your guttering needs repairs. 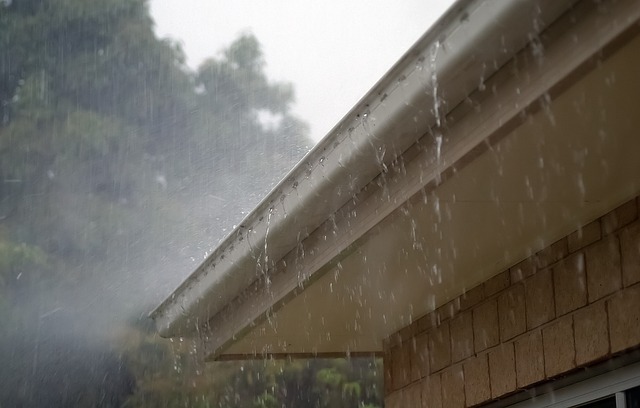 Rain and weather can play havoc to your guttering system. Wet weather will give a much better look as to how the guttering is working, however some preventative maintenace before hand will save you a lot of heartache. If there is debris clogging up somewhere or downpipes are not flushing you will certainly see the signs in the rain although heavy rains may have a different effect due to a lot of water all at once. If you have determined that a repair is needed to the guttering; contact a Roofing specialist who can source the materials and fix or replace will see the gutters are back in running order again. 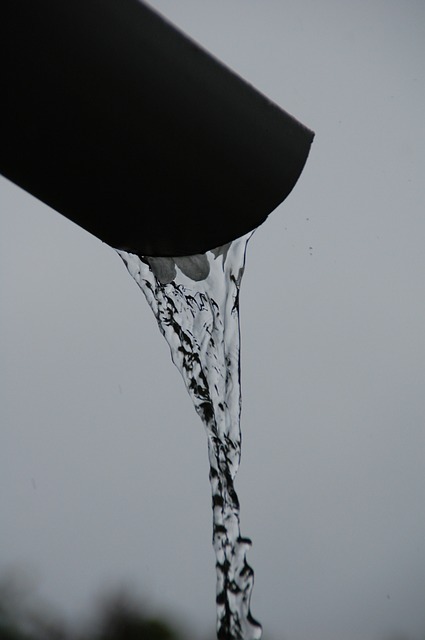 Parts of the guttering may need to be replaced or the complete area depending on the damage or repair. When repairs or replacements have been involved with guttering, maintenance should be on a regular schedule to ensure you get the maximum out of your product. A professional roofing specialist will give you a guarantee for the workmanship so it is of great benefit to prevent issues down the track. Keeping nearby trees trimmed will help with falling debris or growing and pushing up against guttering. Do Your Gutters Need Some Attention? When it comes to all your Roofing needs the professionals who have more than 35 years experience in the industry is ROOFWEST Roof Restorations. Give Tom and the team a call today on 9795 9990. The roof and gutters of your home tend not be part of our maintenance list unless they are showing signs of needing attention. Although in saying that there are several things that should be maintained to prevent any damage down the track. If your home is surrounded by large trees, checking the debris build up in the gutters should be looked at every 6 – 12 months, clearing debris, checking for any damage and fix where needed. This will ensure continual flow through to gutter pipes and drain water away from the home during the wet weather months. Part of the Roof maintenance should be of cleaning, this brings life back to your roof and clears away debris that could potentially go into gutters causing blockages. A roof specialist will check your roof and gutters for any maintenance issues that need to be addressed. RoofWest Roof Restoration is your perfect choose as we cover the whole of the South West and provide Free Quotes. Part of the inspection will note any cracks in tiling or lifting of tin, damage to brackets, mortar amongst tiling that needs to be redone or repointing or recapping to be replaced. 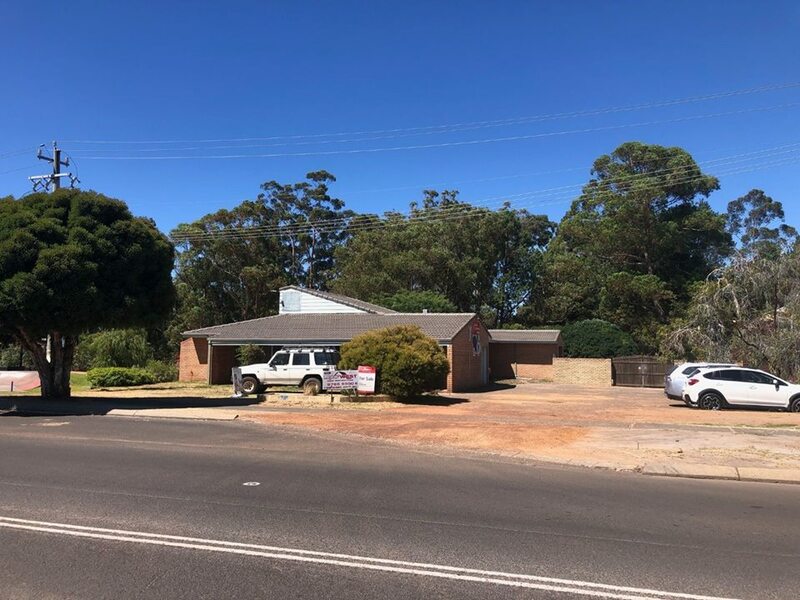 Once the inspection and all maintenance has been done to the roof and gutters then a high pressure clean of the roof surface and gutters is done to give the roof the roof the finishing touch and bring it back to life again. This process helps with the removal of all debris from leaves, birds and moss build up. Does your Roof and Gutters need a good clean? 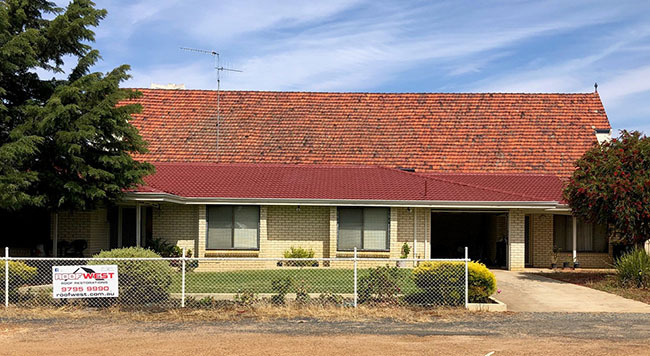 If your Roof and Gutters need a good clean, look no further than RoofWest Roof Restoration on 9795 9990 for all your Roof Cleaning and maintenance. How Do You Know You Have Gutter Problems? When problems arise with gutters they can have a big impact on your home. Gutters are a means of diverting water away from our homes so when the are blocked they can cause a range of issues including foundation damage, structural issues and not to mention the look of a garden hedge growing out your roof that can lead to mould and moss build-up. When heavy rains hit your home, pools of water can form around the foundation of the home and leak into areas it shouldn’t; this can cause extensive water damage that becomes costly. If your gutters are pouring water like a waterfall then most likely your gutters are blocked or you have an obstruction of some kind. Sagging gutters are a very good sign, gutters are blocked or clogged with leaves. The weight of the debris and water built up can be more than your gutters can handle. The problem is guttering will be unable to divert water away from the home and the water could back flow under your eaves into your roof or wall cavity and cause substantial damage. If you have saggy guttering you should get it checked as it will probably need replacing. When you see grass spiking up out of the guttering, your gutters have a dirt and debris built up causing a foundation for growing weeds, grasses and moss and mould. In time this can lead to rusting, foundation problems and sagging gutters and then the waterflow effect. Staining on the side of gutters shows signs that gutters have previously been blocked or are currently blocked and need cleaning. To maintain the quality of life of your gutters it a good idea to keep them maintained, getting your gutters cleaned and downpipes flushed especially before the winter months set in. Not sure if you have a problem with your guttering? Call in the professional. at 9795 9990 we service throughout the South West and the Great Southern Region.